Companies understand how critical it is that their dedicated servers and data be stored and hosted in the most secure, reliable manner possible. For those needs, MegaNet maintains a carrier-class colocation data center facility in the city of Providence, RI, less than an hour south of Boston, MA to provide server hosting for our clients. Our Rhode Island data center is located at the Foundry Complex near the Providence Place Mall and is connected to MegaNet’s regional fiber loop. Just off of major highways including Routes 95 and 195, our data center provides a convenient location for businesses in Massachusetts, Rhode Island, and Connecticut. 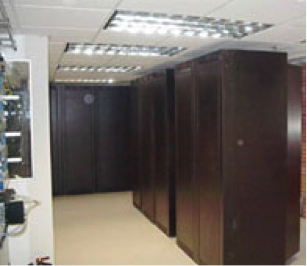 This facility was designed to service dedicated server colocation customers who require primarily AC power in a carrier neutral facility with redundant climate control and backup generator power. DC power is available upon request. Easy access is also available to other networks in the same complex including Verizon, AT&T, Cox, Light Tower, and Level3 Communications. All colocation and dedicated server hosting clients can take advantage of our multi-homed network with multiple carrier bandwidth links to ensure constant uptime for their servers and equipment. MegaNet can host and manage both application and email servers for customers of any size. Service includes 24×7 monitoring and management, and dedicated servers can often be built to spec by MegaNet technicians in a minimal timeframe. Clients locate server equipment in our secure facility and perform secure, encrypted, offsite backups of critical data. For more information about our colocation services or to set up a tour of our facility, please contact us today by clicking the “Request a Free Consultation” button to your right, or by calling 508-646-0030 (or toll free 877-MEGANET) today! . Since our business operates 24/7, internet continuity and around-the-clock security is essential. With over 40 email servers being housed at MegaNet’s Data Center we’ve come to trust their team of professionals. There’s only one reason we house our servers at MegaNet – dependability. We’re extremely satisfied with the email server that we host with MegaNet. It’s extremely versatile, reliable and was a snap to setup. Sharing schedules and address books within the organization or just with selected users helped us immensely. Administering it is a snap compared to other programs we’ve used. The fact that it’s web based has changed the way we work. Thanks to the staff at MegaNet for their expert, timely and helpful support with this great product.